DAILYKENN.com --2,977 people were killed on September 11, 2001 when Islamic terrorist hijacked airlines, flying two into the World Trade Center. Rep. Ilhan Omar referenced the attack as "somebody did something." 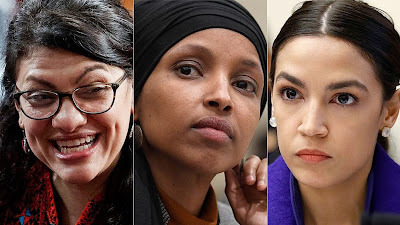 Fellow moonbats Rep. Alexandria Ocasio-Cortez, D-N.Y., and Rep. Rashida Tlaib, D-Mich., came to Omar's defense. 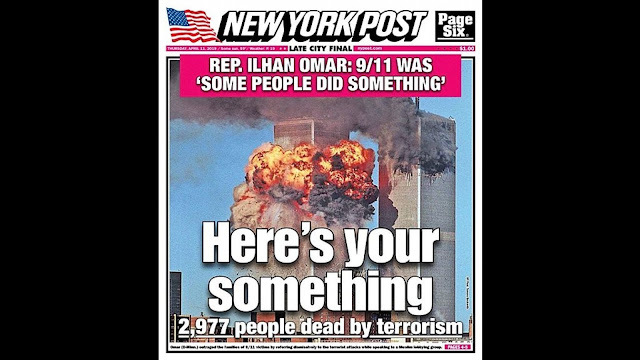 Omar's comments were taken out of context, they claimed. Omar's comments were made during her speech at a banquet for the Council on American-Islamic Relations (CAIR), a Muslim organization that some consider a massive hate group, in late March.